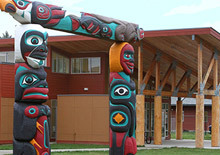 Headquartered on the Lummi Indian Reservation in Washington State, 20 miles from the Canadian border, Northwest Indian College is the only accredited tribal college in the states of Washington, Oregon and Idaho. 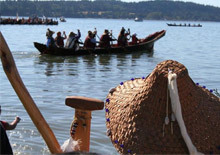 NWIC grew from the Lummi Indian School of Aquaculture (founded in 1973), a single-purpose institution developed to provide a supply of technicians for employment in Indian-owned and operated fish and shellfish hatcheries throughout the United States and Canada. At Northwest Indian College the student body is a diverse group. The average student is a 29-year-old female with at least one dependent. Our growing Athletic Program, however, is drawing increasing numbers of traditional college age students right out of high school. 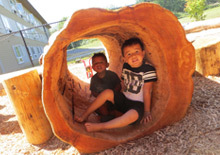 Over 75 percent of our students come from a federally-recognized Indian tribe and we represent over 90 different tribal nations. 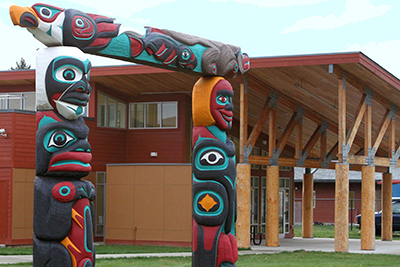 The Northwest Indian College proudly serves over 1,200 students annually. Our student clubs consist of interest groups from Culture, Art, and Boarding to student leadership groups, such as Phi Theta Kappa, AISES and AIBL, which allow our students opportunity for life experiences not found in a book or in the classroom. Students have the option to work within the communities in which they learn, and give back to their people in various ways. We are honored to serve the students, who represent their families and their tribes when they walk through our doors.